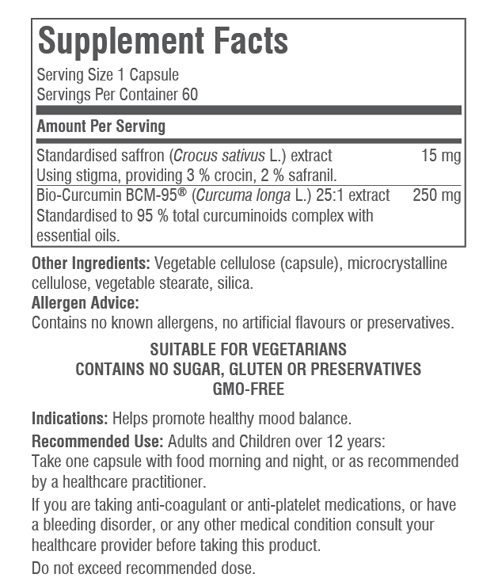 FELIX Advanced® is a feel-good supplement with a highly specialised saffron extract made from the saffron crocus as well BCM-95®, the world’s leading bioavailable curcumin extract. Saffron is well known for its culinary gift as a spice. However, it has also traditionally been used as a medicine in ancient Persia for centuries to help enhance mood, relieves stress and as an aphrodisiac. Modern science, through clinical studies, has now confirmed saffron’s ability to enhance mood, alleviate appetite and boost libido in both men and women. 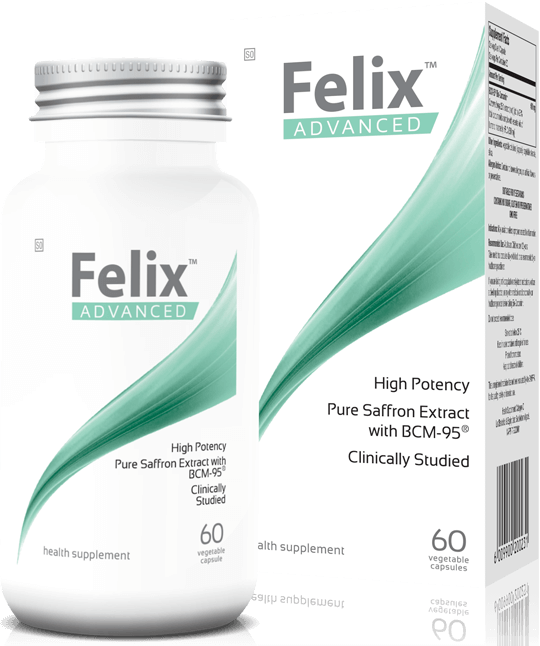 In addition, BCM-95® has been added to the Felix Advanced® formula which has been proven to enhance mood through various studies.